Shopping has ended up being effortless for the consumers in Pakistan by Dreams.pk. You can value online shopping on installment in Pakistan paying little heed to where you are. Dreams.pk empowers you to buy on EMI online with Zero Down Payment all your most cherished things through a solid channel. Air coolers have now transformed into a need in all homes and it stays divided without them. Dreams.pk is Pakistan’s online leasing site that helps to get products be it air coolers or more on installment plans. As a result of this reason, their advantage has also extended. Eventually, with the introduction of air coolers, their expenses have extended radically. The primary decision left for people is obtaining air cooler on installments. Awais Farooq who is likewise the originator of Pakistan’s online comparison site, Compare box.pk additionally possesses this leasing site. Dreams.pk have an immense accumulation of air coolers alongside Mobile, Home appliances and some more. You say air cooler brand and dreams.pk will have it. Notwithstanding, which brand air cooler you need, dreams.pk have a huge assortment and gathering from foreign brands to local brands. Regardless of whether you want for air cooler or LED to purchase on EMI visit Dreams.pk and it be yours. Our website, dreams.pk has every kind of air cooler. These air coolers include the most stylish ones with designs and configurable ones too. This simply means that our website has every kind of air cooler you will ever require and these features make Dreams.pk as one of those online stores that allow all the consumer of Pakistan to buy their products both on installment and cash. This online retailing website offers different very affordable and flexible plans for home electronics appliances on the installment of different brands that are readily available for the local Pakistani customers. These air cooler brands available on dreams.pk include Super Asia, Boss, Toyo, Atlas and many more. This means that now anyone can purchase any model of their desired new air cooler on easy monthly installment online in Pakistan on the easy and safe lease which was not available before. This way purchase of air cooler on installments in Pakistan has become much more convenient and helpful for everyone. Our website also facilitates you in the buying of more expensive air coolers the easy way which includes the imported Water Dispensers and the biggest, latest, most high tech air coolers. These air coolers can be bought with ease as our website Dreams.pk offers flexible installment plans according to your down payment or whether you choose to make zero down payment, to get your product on lease in a very easy and effortless manner. You can even buy air coolers on installments without interest. Here on this website you can buy air coolers and a lot of other home appliances that you have always dreamed of to get for your home but can never save enough to make a direct purchase. 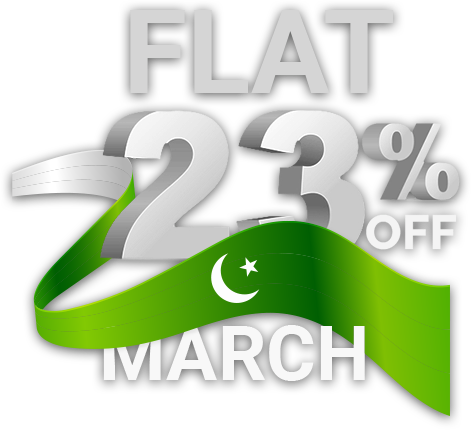 Dreams.pk offer versatile installment plans as shown by your underlying budget. You can in like manner make zero down payment, to get your thing on lease in a simple way. Here on this site you can get air coolers on installment in Pakistan and other home appliances too. Various customers in Pakistan, believe that the things they buy on lease or cash from different online stores are not of good quality. Be that as it may, here at Dreams.pk we guarantee this isn’t the circumstance. We have organize contacts with the official traders of each and every best brand air coolers, mobile phones and diverse home products. This will ensure our customers to get the genuine products both on EMI and money. Customers who are keen on purchasing air cooler on EMI, Dreams.pk is certainly the best choice. Besides, Dreams.pk is likewise one of the best sites that bargain with Air cooler on installments in Pakistan and in addition on money. The rates offered here on air coolers are economical when contrasted with other best online leasing sites or stores in Pakistan. Dreams.pk likewise enable you to track your requests that have been dispatched by us and that too by basic advances. You should simply click your request history on our site and check status of your request. By and by, numerous Air coolers of various brands are accessible in the market, which are not in reach of individuals. For the simplicity of such clients numerous sorts of Air cooler are accessible in the market. Shopper who are sick of setting off to the business sectors to locate your appropriate rates or bargains or can’t set aside opportunity to visit neighborhood stores or markets to purchase your favored Air cooler? Stop your pursuit ideal here, on the grounds that the answer for your issues is without a doubt Dreams.pk. Subsequently purchase air cooler online on installments through the best online leasing site in Pakistan.